There has been quite a bit of hype over the past few months over Nissan’s redesign of the struggling Maxima into the form we know of today: the Four-door Sports Car. 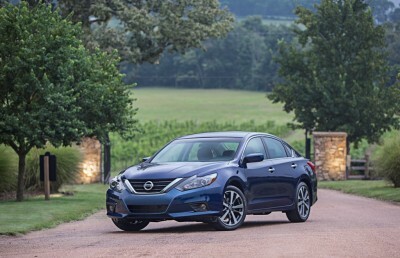 However, before the redesign, the Maxima was falling somewhat behind its close relative, the Nissan Altima. So, like a little brother, when the Maxima got something cool, the Altima just had to have it, too. The result is the 2016 Nissan Altima: a sedan designed on the “Energetic Flow” exterior styling theme and the “Gliding Wing” interior theme. All features on the front of the Altima have been redesigned, with an all-new front featuring a chrome-tipped V-Motion grille, boomerang-style headlights, a deeply sculpted bumper, and a grooved hood. In the rear are similar changes, including a new bumper with a lower accent piece, a new trunk lid with integrated spoiler depending on the trim, and boomerang taillights which incorporate stop lights, turn lamps, and backup lamps into one. These changes are not purely aesthetic, though, as they also lower the Altima’s drag coefficient by 10%. Inside, the design is centered on a revised central stack, which includes either 5.0-inch displays or 7.0-inch displays for the NissanConnectSM and NissanConnect Navigation. Other changes include reshaped front seats, improved upholstering material, and accommodations for mug handles in the two cupholders in the center console.